Cyclocross is a cross between road racing and mountain biking. Competitors race around a course featuring a variety of surfaces (pavement, grass, sand, gravel, dirt, etc.) while attempting a number of obstacles. Brevard’s Tyler Clark was crowned SECCC Cyclocross champion after winning the Men’s Collegiate Category A race. Clark won the event in impressive fashion, defeating a deep field that included 30 riders. Clark was one of four Tornados to finish in the top ten in the Men’s A race with Scott McGill (4th), Ryan Johnson (6th), Zack Lowden (9th) and Carson Beckett (10th) also finishing in the top 10. Tim Coffey just missed the top-10 with an 11th place finish. The championship win by Clark and the four top-10s easily gave Brevard College the top cumulative score of any school in the event. In Men’s Collegiate Category B, Dalton Collins of Brevard College earned another win for the Tornados, defeating two other riders. Brevard’s Hannah Dickson won the Women’s Category B/C race to earn her second straight cyclocross victory. Dickson, who also won the Women’s Category 4/5 North Carolina Cyclocross race in Gibsonville, N.C., came away victorious at the SECCC Championships by defeating a field of 12 riders. Dickson’s teammate Nicole Rusden finished second in the event just as she did at the Gibsonville race. 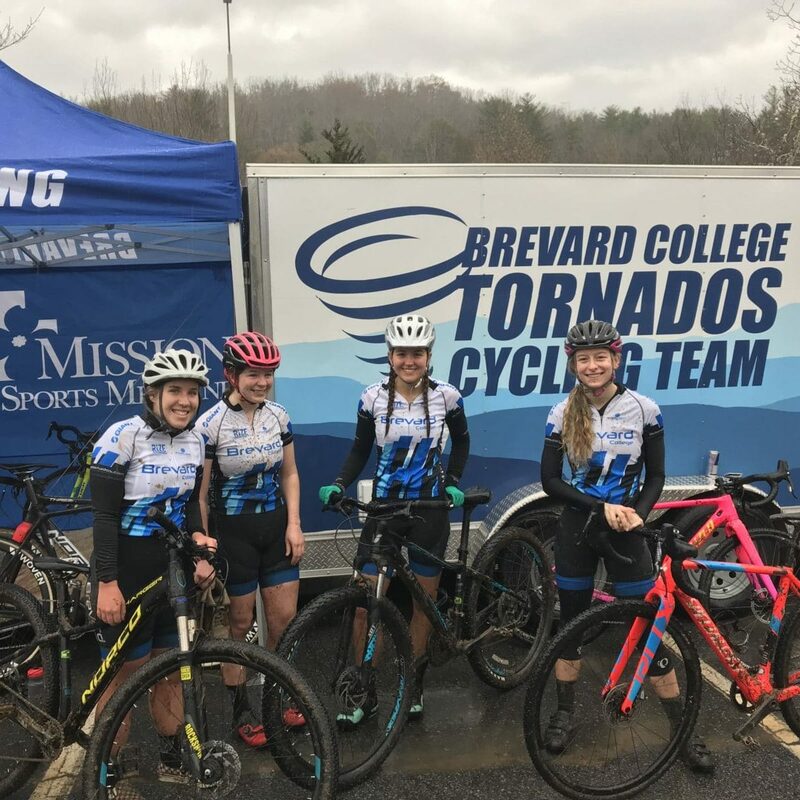 In total, five Brevard College riders finished in the top-10 in Women’s B/C at the SECCC Championships, more than any other school. Joining Dickson and Rusden in the top-10 were Emilie Abbott (7th), Kaitlin Chaump (9th) and Audrey Cardwell (10th). In the team relay, Brevard’s team of Rusden, Dickson, Clark and Beckett finished in second. Cumulatively, Brevard College produced more event wins (three) and more individual top-10s (10) than any other school competing at the SECCC Championships. Next up for the Tornados is the Hunter Subaru North Carolina Cyclocross Grand Prix hosted by Brevard College. The event will take place this Saturday and Sunday, December 8-9 at Jackson Park in Hendersonville, N.C. Following this weekend’s race in Hendersonville, N.C., the Tornados will travel to the USA Cycling Cyclocross National Championships to be held December 11-16 in Louisville, Ky.